Ships within 24-48 hours / Call for expedited. 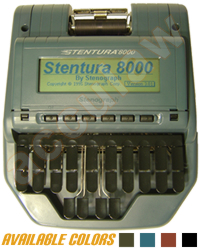 *Remember all of Acculaw's court reporting steno writers have been re-conditioned and come with warranty. Re-conditioned means the writer has been completely chemically cleaned and disassembled to inspect all parts for wear and tear; all parts are lubricated and any part that shows wear it's replaced (pads, springs, roller, etc...). Finally, when the writer is re-assembled it goes through a series of tests that it needs to pass in order to be sold to our customers. 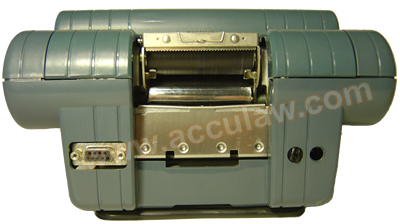 (Every court reporting stenography machine is tested when it is re-conditioned and before it is shipped to our customer). *Free ground shipping on writers available within U.S.A except to AK, HI & PR.